A virus is unleashed, transforming infected people into zombie-like killers. 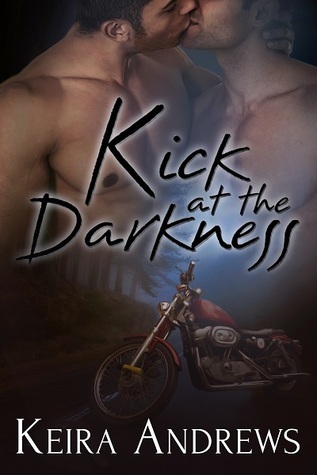 After these quick and deadly creepers swarm campus, Parker only escapes thanks to Adam swooping him onto the back of his trusty motorcycle. Now they're on the run—and stuck with each other. When they’re not bickering, they’re fighting off the infected in a bloody battle for survival. Their only hope is to head east to Parker's family, but orphaned Adam has a secret he’s not sure Parker will accept: he’s a werewolf. Can they trust each other enough to find some light in these dark days? I love horror. I love zombies. I love hot romance. I love a combination of all three! What was missing for me in this story is the horror element. Even though there were plenty of mean zombies, at no time was I scared, grossed out, tense, deeply disturbed or unsettled. Zombies are supposed to be scary! I wanted the tension, struggle, danger, recklessness and action that keeps me flipping pages. More thrills, chills, close calls, conflicts, and humans that are even scarier than zombies! This is a romance novel first, so I was expecting the requisite happy ending. Rather than ruin the story with a sappy HEA, the author chose a perfect ending that leaves the fate of the main characters and their future undetermined. So I’m really hoping for a sequel.